I recorded this screencast as part of #workingoutloud to show how I created pictogram people in PowerPoint. Best of all, I only used three shapes to create them. Really cool. But where are the women? Hey Johnine. Thanks for checking out my screencast. You are right. These pictogram people look pretty “mannish.” I’m working on some other versions and will share the source file here. 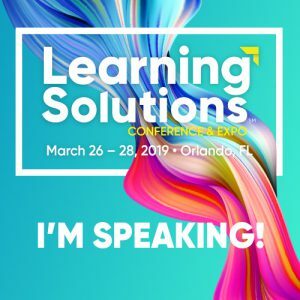 Over the last ten years I’ve had the privilege to work as an instructional designer in the corporate learning space and also as a freelance ID/e-learning consultant. I’ve designed and built courses, job aids, video tutorials, and yes, paper training manuals in the areas of software, sales, compliance, customer, IT security, data protection, healthcare, financial, and more. Need help on an e-learning project? Need a course or maybe just an interaction? Not sure what you need? I can help with that too. Courses aren’t always the right solution for your business need. Let’s connect.